We don’t have customers we have clients. People that appreciate tattoos and the art of tattooing want to work with us to create custom imagery that will look amazing now, as well as 20 years from now. 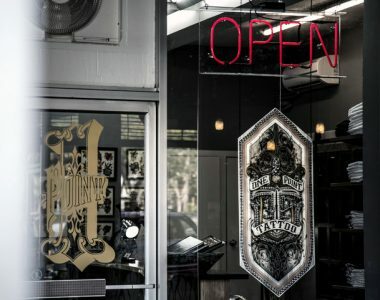 We aim to give each client the time they need to feel comfortable with the entire process from consultation, to tattoo time, to proper after-care instructions. 1 Point takes a minimalist approach to the shop, creating a clean, safe working environment for staff and clients. We follow all Hawaii State Department of Health guidelines and are Blood Borne Pathogen certified to ensure the best and continued safety in the shop. 1 Point Tattoo also offers tattoo removal. Click here to learn more!